It’s a fairly common story around Rossland – it happens to visitors unfamiliar with the area, but even knowledgeable local back-country adventurers have been led astray by the terrain and ended up somewhere in the Lamb Creek or Big Sheep Creek drainage. On January 31, a pair of skiers may have misunderstood some advice, and they and their two dogs followed the wrong slopes and ended up deep in the Lamb Creek valley. They were expected back at the Strawberry Pass parking lot for the Rossland Range Recreation Site by 3:00 in the afternoon on January 31, but at that time their truck was still there – and they weren’t. 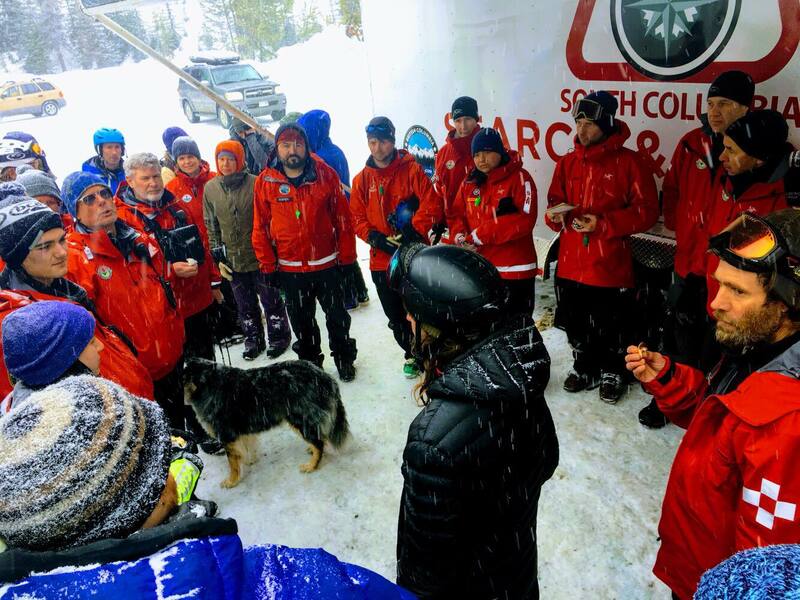 By 8:15 in the evening, the local RCMP detachment notified Rossland Search and Rescue, which sent out 13 volunteer members and two snowmobiles. The search continued until 2:00 am on February 1, and identified some tracks heading westward from the vicinity of Mount Lepsoe. Westward, toward the Lamb Creek drainage. And when you’re in Lamb Creek, you’re a long way from anywhere by ski, as the thoroughly chilled couple of skiers, and their two dogs, in this incident discovered. The pair was located and brought out by helicopter early on February 1 and they were duly checked over at the Trail Hospital. Thanks and kudos to our RCMP officers and to Rossland Search and Rescue for bringing back another set of back-country enthusiasts unharmed. Now, if only we could find a way of keeping people from going astray to the west and ending up cold and tired after an unplanned overnighter in the Big Sheep Creek or Lamb Creek valleys. Friends of the Rossland Range Society, a volunteer group which manages the Rossland Range Recreation Site, is interested in keeping users of the Rec Site well-oriented and safe. To that end, they obtained funding for the maps that are posted at the major trail intersections. Do we need more signage out there?